According to IMD, India has seen significant changes in rainfall patterns over the last few decades. The number of cyclones globally has increased from 10 to 18 every year as reported in Nature Magazine and the quantum of precipitation has come down from 13 days to 10 days. 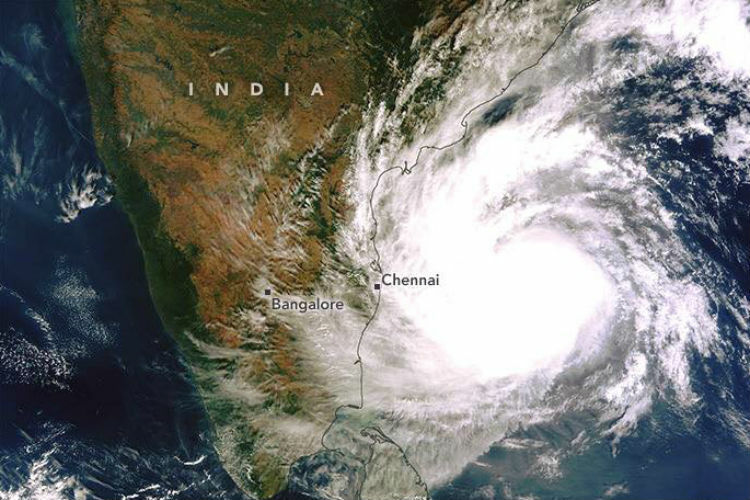 According to Ramesh, though the frequency of cyclones in India hasn’t increased in either the Bay of Bengal or the Arabian Sea, their intensity has increased. Due to the unpredictability of Cyclone Ockhi that affected southern India last year, IMD developed ‘Impact Based Forecasting Approach’ technology that can assess the rise in water levels in rivers and reservoirs and can help authorities to take real-time decisions. Kerala suffered one of the worst floods in a century when unusually high rainfall in the monsoon season triggered devastating floods all over the state. Over 60% of the state’s dams were opened for the first time in their history as the water levels rose to overflow levels. One-sixth of the total population of Kerala was directly affected by the floods, with 483 people dead and 15 missing, and caused economic damages of Rs 40,000 crores.